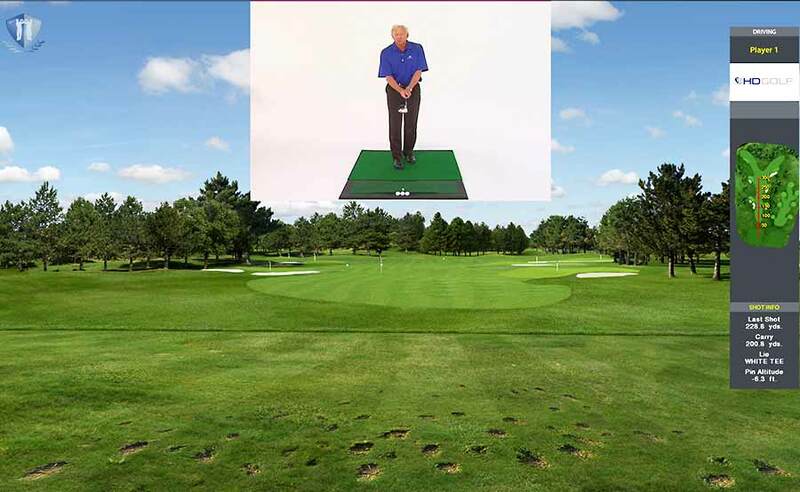 Jim McLean has taught more than 100 PGA Tour, LPGA and Senior PGA Tour players and his Eight Step program is both the best-selling golf DVD and golf book in America. Now, through HD Golf™ simulators, anyone can access this method of training that has helped build some of the greatest golfers in the world. HD Golf’s™ Golf Simulator records and analyzes a golfer’s swing in real-time, breaking it down into McLean’s 8 steps – from setup to follow through. The goal at each step is to stay within McLean’s “corridors of success,” or safety zones in which the golfer’s club and body are in a good position to strike the ball well. If the golfer remains within those corridors, the system will indicate that they have “passed” that step and can move onto the next. 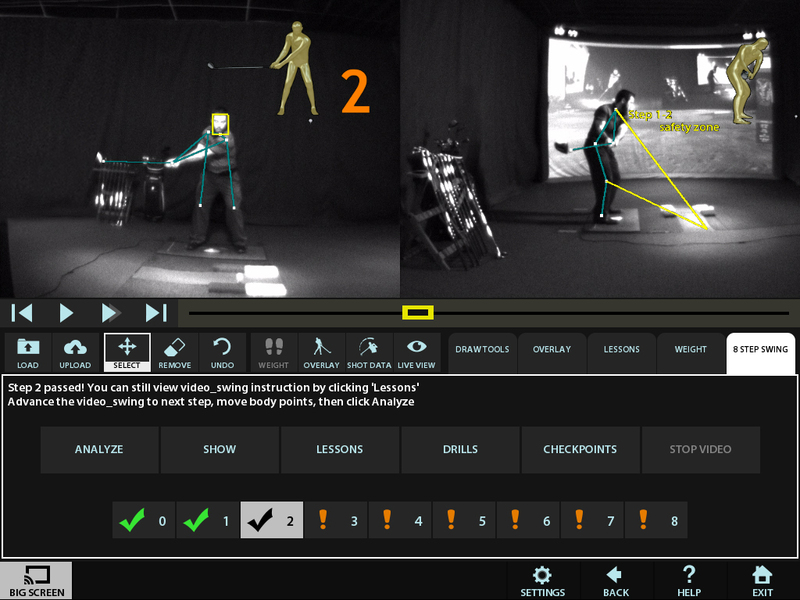 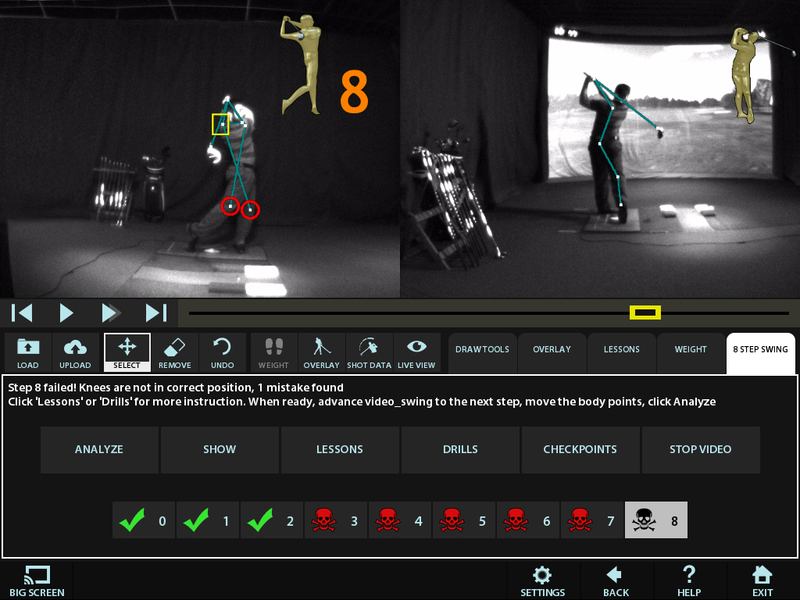 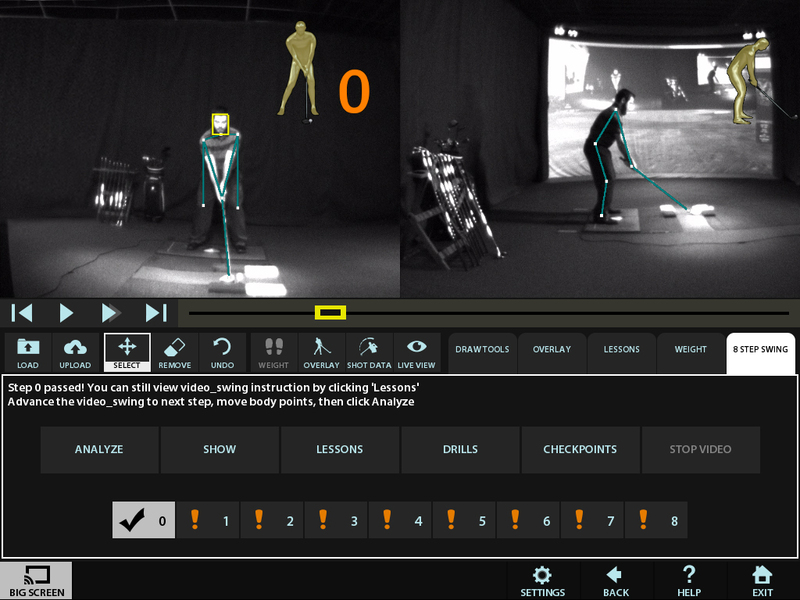 HD Golf™ Simulators also analyzes and detects “death moves”. A death move, a term coined by McLean, are actions that will kill your game, or positions that are so far from ideal – that you cannot recover to strike the ball well. 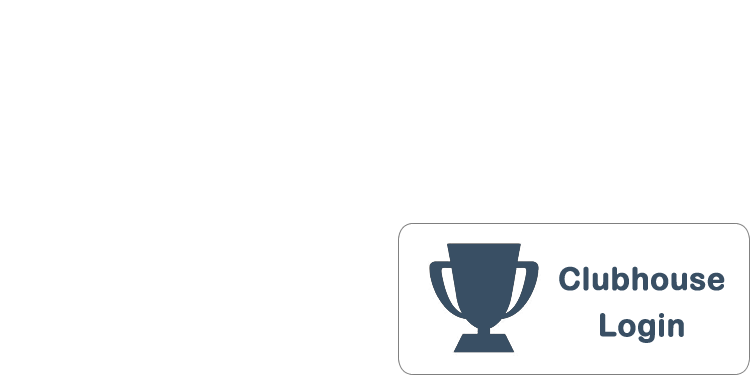 When the system detects that the golfer’s position and swing are out of the “corridor of success” or have committed a death move, it automatically alerts the golfer and presents him or her with video coaching from a “virtual” Jim McLean as well as some appropriate lessons, drills and tips to improve performance.